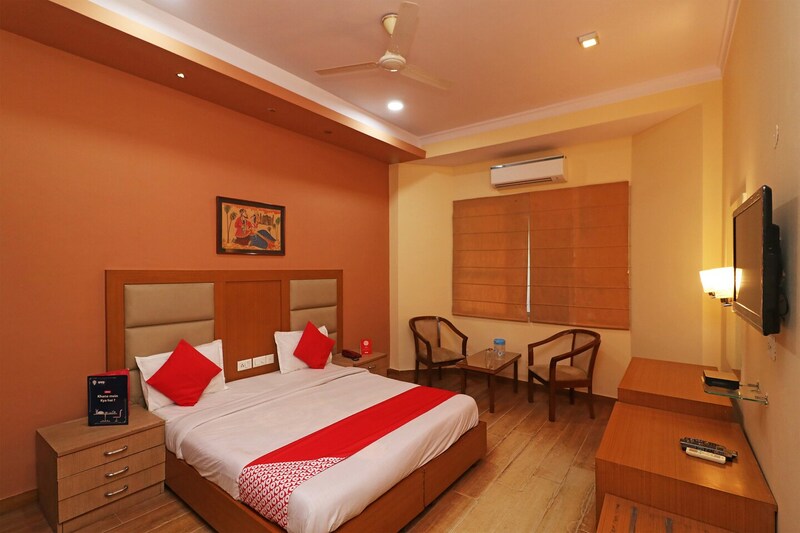 A short 2 minutes drive away from IndiGo Guru Dronacharya metro station, Birdhouse residency offers the comfort of homely vibe and great location. The Aravalli Bio Diversity Park is a minutes drive, other parks, restaurants and markets like the Marble Market (2 minutes away) are very conveniently accessible from this place. The tastefully done interiors allow breathing space and bespoke luxury too. The great interiors are complemented with a good hospitality sense from the hosts. The rooms are spacious with attached washrooms. The welcome lobby is well decorated. This property offers amenities like free Wi-Fi, TV, AC and an option to choose from twin sharing beds, queen-sized or king-sized beds.